Less than two hours after the first WAVES disembarked from their ship in Pearl Harbor in January of 1945, they were in line for their first meal. 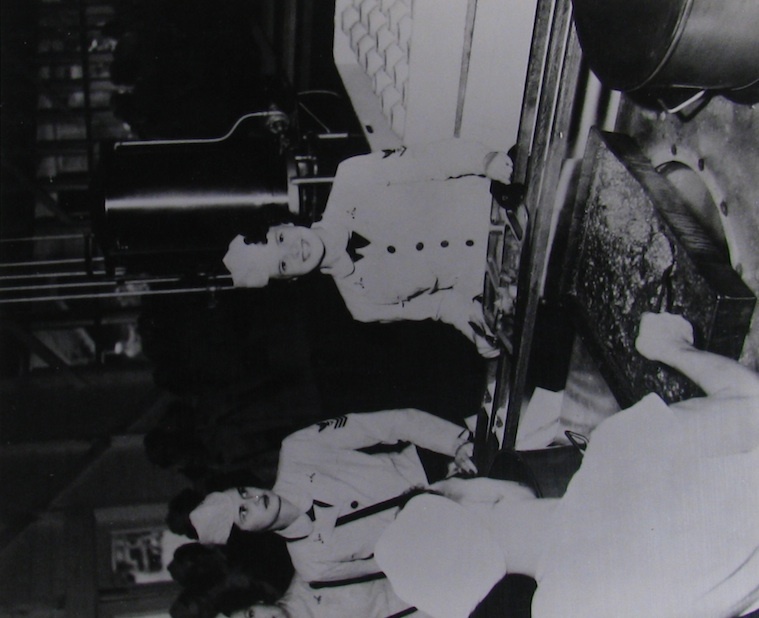 This image shows Laverne Maynard (the girl with the big smile) getting her first meal. It comes from the National Archives.